The National Working Committee NWC, of the ruling All Progressive Congress, APC, today inaugurated the Delta State party Chairman, Chief Cyril Ogodo and 32 others as states party chairmen. 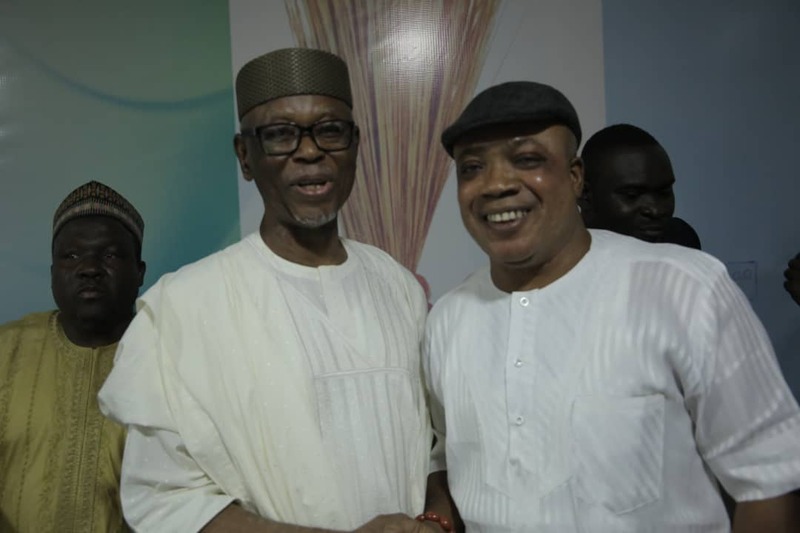 Ogodo who emerged through the state party Congress held on May 21st at Asaba, beating his closest rival, Mr Fred Obe, was along 32 others inaugurated at the party's headquarters in Abuja by Chief John Oyegun led NWC. Ogodo, moments after his official inauguration as the Delta State APC chairmen; urged all party faithful to see his emergence as an opportunity to rebuild and reposition the party for the task of recusing Delta state form PDP 19 years of bad governance. He therefore called on party leaders to join hands with the new state party leadership at all levels to build a stronger and united Delta APC. He also called on all aggrieved party members particularly those who contested the last congresses in the state to shelter their sword and join hands with him to build a united APC that can wrestle power from the PDP come 2019. According to him; “I want to appeal to all our party leaders and followers to accept the outcome of the congresses that have produced party leaders at all levels, indeed Delta APC is the winner. "Let see this as another opportunity to right the wrong of the past; by collectively putting our self interest aside and focusing on how we can reposition our party in other to give Deltans a new lease of live. "We have what it takes to turn the fortune of the Delta APC around; we have the human and material resources to take over the reins of power, so let us reserve our gun powder for the PDP who is our common enemy. I want to particularly appeal to the former Chairman, Prophet Jones Erue, to support us to succeed as SWC, I have worked with him through tick and thin, and I want assure all our party leader and faithfuls that our administration will be all embracing and will carry everyone along. "Let us all from today begin the processes of healing the wounds that the congresses might have cause, while looking ahead of a new Delta APC which is poised to take over Delta," he added.